My client has a problem. She has a $4 million estate and wishes to reduce it to the extent possible using gifts that qualify for the annual exclusion. Under Internal Revenue Code (IRC) Section 2503(b), she may make annual gifts of $10,000 ($20,000 if her spouse elects to “split” the gifts) to as many donees as she chooses. My client’s problem is this: She has two children, and wishes to treat them equally in her estate and gift planning. Her son has three children of his own and her daughter has no children. For several years, my client has made gifts in December of $20,000 to each of her children and $20,000 to each of her grandchildren, so she has been able to diminish her estate by $100,000 per year at no gift or estate tax cost and without using up any of her unified credit. Her daughter has pointed out that while she is being enriched by $20,000 per year, her brother is being enriched to the tune of $80,000 per year. If, by reason of catastrophic illness, market declines, or other causes, my client is impoverished by the time of her death, when all is said and done her two children will not have been treated equally. Her daughter will be the loser–by a wide margin. My client agrees with her daughter in theory. That is, she believes that she should give her daughter an amount annually that will equal the amount she gives to her son and his children. She just doesn’t think she should do this because giving $80,000 per year to her daughter would far exceed her available annual exclusion. My client has read about the unified credit, which produces an effective exemption from estate and gift taxes in the amount of $650,000 in 1999, increasing to $675,000 in 2000 and 2001, $700,000 in 2002 and 2003, and incrementally up to $1,000,000 in 2006 and later years. (The unified credit exemption is now referred to as the “applicable exemption amount”.) But she has always believed that her lifetime gifts should not exceed the allowable annual exclusion, and that the unified credit should be “preserved” until her death (she believes this to be the estate tax equivalent of not dipping into her capital). This article will discuss the reasons why my client should probably go ahead and make additional gifts to her daughter. Let us assume for purposes of this article that my client’s husband has an estate equal to my client’s, so there is no need for her to consider his needs (should she predecease him) in her planning. The applicable credit amount is available to every taxpayer once. To the extent that a taxpayer uses it up by making lifetime gifts in excess of the annual exclusion, it is not available to reduce the amount of a decedent’s estate that is subject to the estate tax at death. This result is accomplished by requiring an executor to add to a decedent’s gross estate on the estate tax return (Form 706) the amount of the decedent’s post-1976 taxable gifts. The applicable credit amount is then effectively applied to the total of the decedent’s transfers at death (her estate) and her inter vivos gifts. An excellent reason for making inter vivos gifts as opposed to leaving property by will-especially in the case of property expected to appreciate-is that the appreciation in the gifted property is removedfrom the donor’s gross estate. The amount that will be taxed to the donor is effectively frozen at the value of the property on the date of the gift (less any available gift tax exclusion). Of course, any future income generated by the gifted property is also removed from the donor’s estate, which brings us to another advantage. If the donor is in a high income tax bracket and the donee is in a lower one, the amount of income tax paid by the donor-donee unit (e.g. a family unit consisting of high-bracket parents and lower-bracket children) will be reduced. Of course, if a donee is a child under age 14, the kiddie tax rules apply and some of that income may end up being subject to tax at the parents’ rate. By the same token, the capital gains tax on the sale of a gifted asset may be lower if the asset is first given to a lower-bracket family member. A note re: basis: One disadvantage to inter vivos gifts as compared with transfers at death is in the basis of the gifted asset. The adjusted basis (tax cost) of an asset acquired by gift is generally equal to the basis of the asset in the hands of the grantor, so if a highly appreciated asset is sold by an inter vivos donee, the capital gain will be the same as it would be in the donor’s hands. Contrast an inherited asset: the donee’s (beneficiary’s) basis is equal to the date of death (estate tax) value of the asset. If a highly appreciated asset is sold right after it is received from an estate, and it hasn’t a ppreciated since the date of death, there would be no capital gains tax on the sale. 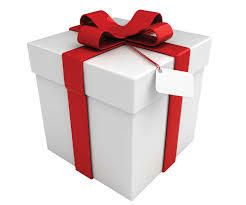 Inter vivos gifts may result in lower state transfer tax costs. In Pennsylvania, for example, gifts made more than a year prior to the donor’s death are not subject to inheritance tax (gifts made within a year of death are included in the decedent’s taxable estate). Gifts made to a child or grandchild more than a year before the donor’s death, therefore, enjoy a transfer tax savings of 6% over gifts made by will. Finally, there are several federal estate tax “breaks” that benefit estates containing certain types of assets, provided that the asset exceeds a specified percentage of the gross estate with certain adjustments. An example is the reduction in value for estate tax purposes of certain farm or closely-held business property provided by IRC Section 2032A. An estate can qualify for this valuation discount if the “adjusted value” of the specified property exceeds 50% of the adjusted value of the gross estate. Another provision, IRC Section 6166, allows the deferral (and installment payment at favorable interest rates) of the portion of estate tax attributable to a closely held business, provided that the business constitutes more than 35% of the gross estate, subject to certain adjustments. Obviously, if a donor makes gifts of non-business (or non-farm) property, she might “bootstrap” her estate into qualifying for these favorable provisions. Note, however, that gifts made within three years of death are generally brought back into the estate for purposes of measuring qualification for these provisions, so deathbed transfers won’t work. The biggest deterrent to inter vivos gifts seems to be that once the property is given away, the donor doesn’t have it-and the control that is sometimes a prerequisite of having it-anymore. If a donor can get past that, there may be some real advantages to giving now.